Posted April 4th, 2019 by Michael Gaul & filed under Criminal Records. Posted April 16th, 2014 by Michael Gaul & filed under Background Checks, Discriminatory Hiring, Employment Screening. Posted April 2nd, 2014 by Michael Gaul & filed under Background Checks, Social Media Background Checks. Is Background Screening Stuck Between a Rock and a Hard Place? Posted March 13th, 2014 by Michael Gaul & filed under Background Checks, Negligent Hiring. Posted May 13th, 2013 by Michael Gaul & filed under Background Checks. Posted May 17th, 2012 by Michael Gaul & filed under Criminal Records, Discriminatory Hiring, EEOC Guidelines. 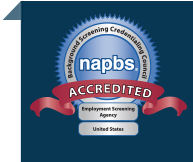 Employment Screening FAQ Series: What’s Taking So Long?